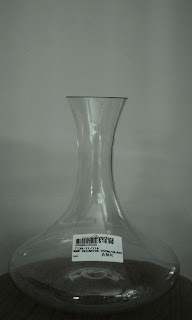 A decent decanter for $10. 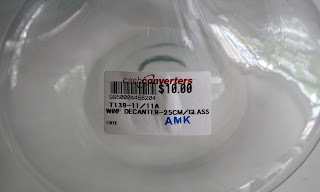 Maurice (a regular wine buddy of mine) recently bought a wine decanter from Cash Converters at Blk 710 Ang Mo Kio Avenue 8. It comes very reasonably priced, I must say. It comfortably accomodates a standard bottle (750ml) of wine. They still have a couple more of these new pieces at the AMK outlet. (I guess its not necessary to visit this particular outlet; you can always give Cash Converters a call and visit any of the other outlets convenient for you to reach.) If you are planning a wine session at home with your friends during this festive season, a good decanter or two may just be the accessory to have at your table. I did an earlier blog entry where my friend Aaron assembled a decanting kit (decanter, funnel and wire mesh) within $20. 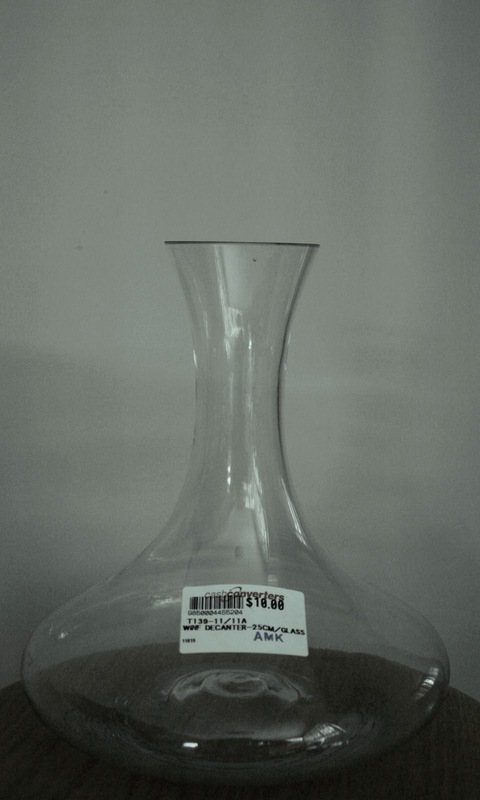 This decanter from Cash Converters will help to bring the cost of a complete set down to $15 :p Do go visit if you happen to be in the neighbourhood!